Fact - In the UK approx 80% of post-consumer plastic waste is sent to landfill, 8% is incinerated and only 7% is recycled. Please note -Not intended for composting. 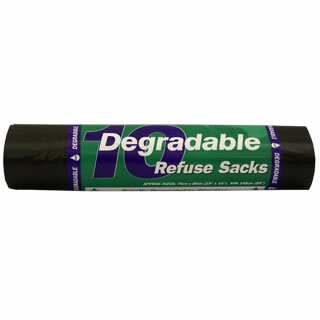 The d2w 10 Degradable Refuse Sacks - 70L product ethics are indicated below. To learn more about these product ethics and to see related products, follow the links below. These are sturdy and a good size. Q: I read recently that while biodegradable plastic is good in terms of easing landfill, it creates more problems by releasing harmful greenhouse gases. What's your view on that, please? A: The manufacturer's website tells us that an additive put into the plastic at the extrusion stage makes the finished product "oxo-biodegradable" so that it will degrade and disappear in a short timescale, leaving no fragments, no methane and no harmful residues. The process reduces the plastic to nothing more than CO2 and Water. This additive works to break down the carbon-carbon bonds in the plastic leading to a lowering of the molecular weight and eventually to a loss of strength and other properties. 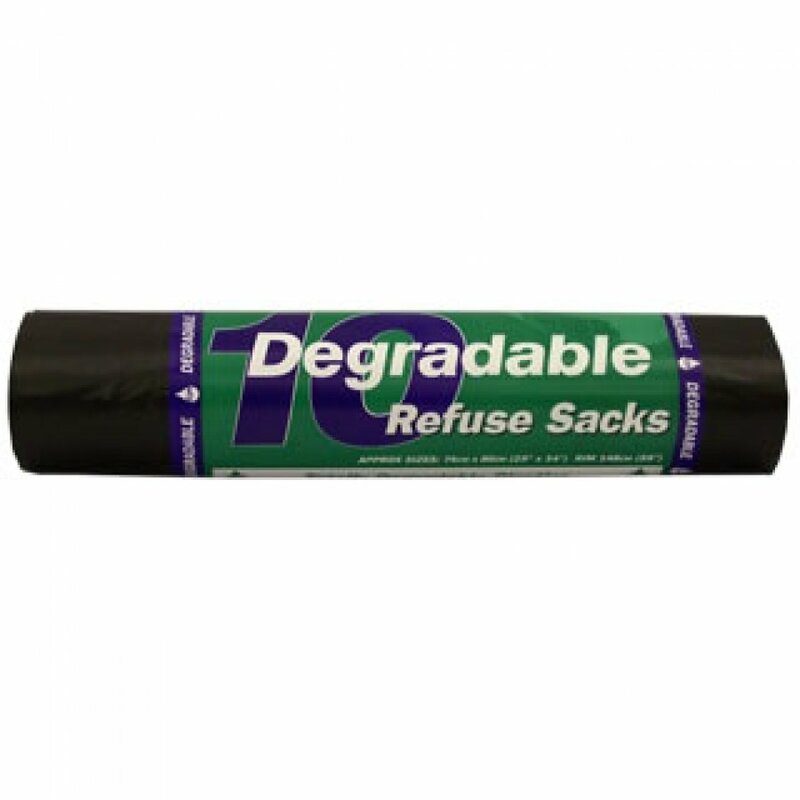 These particular bags do not require a biologically active environment to start degrading, and are therefore 'degradable' rather than 'bio-degradable'. I hope this helps. Jo. 40 out of 41 found this question and answer helpful. Q: What size bin do these fit? A: Hi, Thanks for the query. Each bag has a rim length of approx 146cm, so any bin that has a rim that long (or smaller) would be ideal for these bags. Hope this helped! 2 out of 3 found this question and answer helpful. d2w makes products out of environmentally-responsible oxo-bio plastic which can be re-used and recycled. As well as this, they will degrade; meaning that when they are disposed off they will soon disappear leaving behind no fragments or trace of their existence.